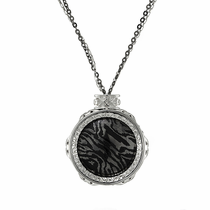 If you’re looking for something a little outside the box for your next piece of jewelry, consider a titanium necklace. 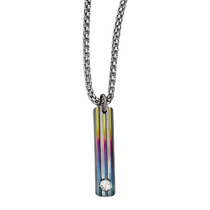 Unlike other types of necklaces, titanium has a naturally modern and sleek look that’s perfect for any fashion-forward female. 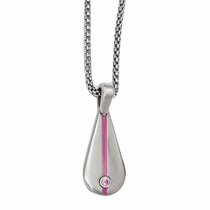 The beautiful designs available at Titanium Jewelry make it clear that titanium is a great choice if you want something that will truly stand out from the crowd. 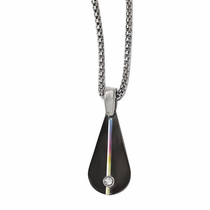 From the shiny luster of titanium’s natural gray color to the drama and stunning beauty of black titanium necklaces, you’ll find that these aren’t your average pieces of jewelry. 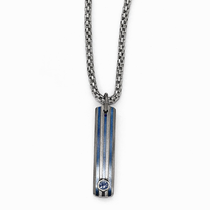 Besides their good looks, these titanium necklaces have several other benefits that gift givers and recipients can both appreciate. 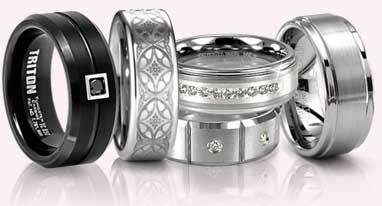 One of the most common reasons people opt for titanium jewelry is the hypoallergenic properties of this metal. It’s actually so safe that’s it’s used in medical and surgical procedures and has been sourced to create heart valves and joint replacements that are placed inside the body. On top of that, titanium is lightweight, so it won’t hang heavy around your neck or give you an ache from wearing it all day, even if it’s a chunky statement piece. And to top it all off, titanium is incredibly durable. 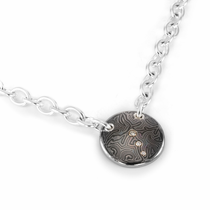 It won’t dent or scratch as easily as most other metals and it made to last a lifetime, so you can continue to enjoy a titanium necklace for years or even decades to come. Another important feature with titanium is the price. 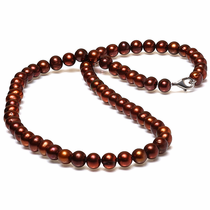 Unlike gold or platinum, you won’t have to shell out thousands to get your favorite titanium necklace. Instead, titanium is a much more affordable option that still offers the high-end, luxurious styles of your favorite jewelry. 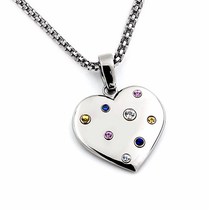 Whether you want a new necklace to enjoy for yourself or a thoughtful gift for a loved one, consider getting one of these beautiful titanium necklaces from Titanium Jewelry. 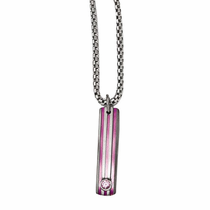 Customer rating for Modern Womens Necklaces by Titanium Jewelry: 4 of 5 based on 2 customer reviews.